The right side rubber track on my Kobelco SK 015 excavator will not stay in adjustment. Months ago I contacted our local diesel mechanic about a fixing a few things. One was a hydraulic leak---I calculated the leak is costing me $0.45 a running hour in loss of hydraulic fluid. OK--I can live with that. So I've been told by a friend that there is a seal that is worn out causing the track to not hold adjustment. Dose anyone know of this---is that hard to fix? Where is the seal located? I'm not a great mechanic--but if I had a bit of knowledge I might tackle it. 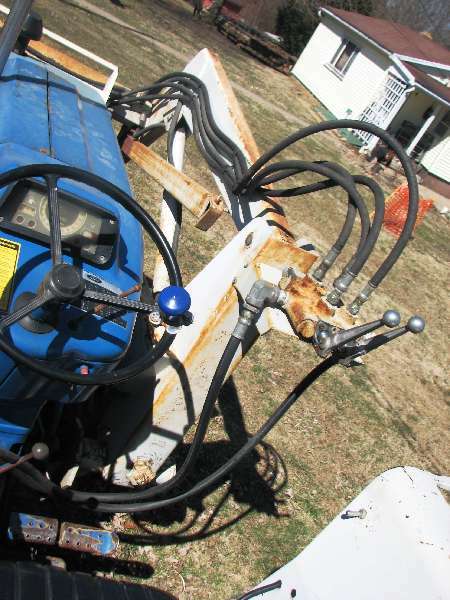 Not sure if you have this setup but Case dozers used a zerk grease fitting which you pumped grease into an adjustment cylinder. The site says "skid steer" in its name but it's for all types of equipment and makers, and there's some really helpful people on there. Skip do you have a manual for your machine? I have an excavator little larger and Volvo brand but my guess is track set up is very much alike. Think you have a front blade and if so use it and the boom to lift the track clear. The track should sag a little (think mine is like 3 inches and it is oh 10 foot long (sitting in my office guessing on both). If it is sagging more than that is it too loose. If no sag too tight. But as Jeff has said there probably is a cylinder that you fill with grease using normal grease gun to extend the cylinder to push out the none drive wheel for the track to take up the slack to tighten it. If you need to release it think you have to remove it so the grease can come back out. If you look very carefully beginning at the none drive wheel toward the drive wheel think you will see it. It will be assessable from the outside of the track between rollers for the track. I do have a manuual. I do know how to raise the machine as I have to raise it to move the tracks in to get across a narrow bridge. Cool feature huh. I don't exactly know how long it takes to loose tension---But ptoper tension/gap should be 2.5" to 2.24". Sure wish I could get that mechanic out here----Really hate asking twice---but may have to Arrrhhh!!!! Skip, how about sunshine? No idea if there is a correct amount of time the tension should hold but only check mine once in a big while. Know need to do it next time used for they are a little slack, sort of like ole Jeffery old boy. Skip sometime you need to ask him about the sun screen recommendation given to him. Seriously he ain't all bad. Has helped me.